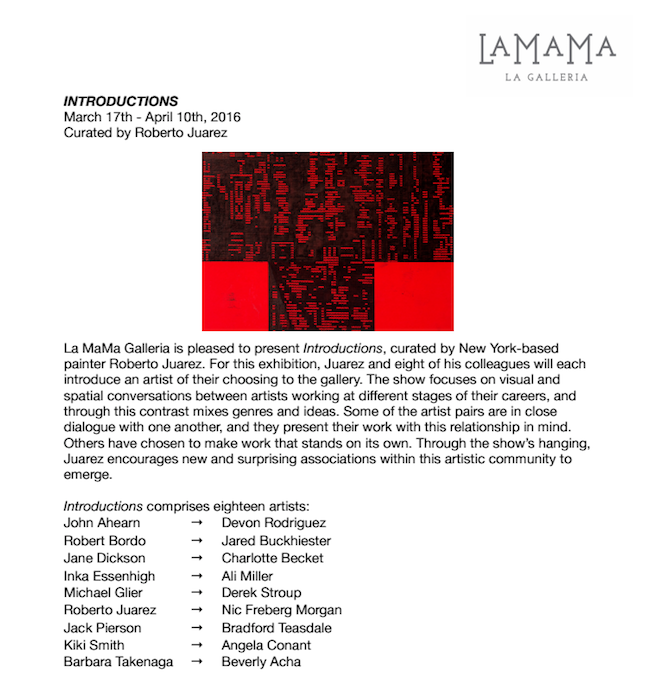 Angela Conant (MFA AP13) is participating in the group exhibition Introductions, at La MaMa Galleria focusing on visual and spatial conversations between varying artists. The roster of artists is quite fantastic and should make for a great event. For more information on opening and presentation times, follow this link.